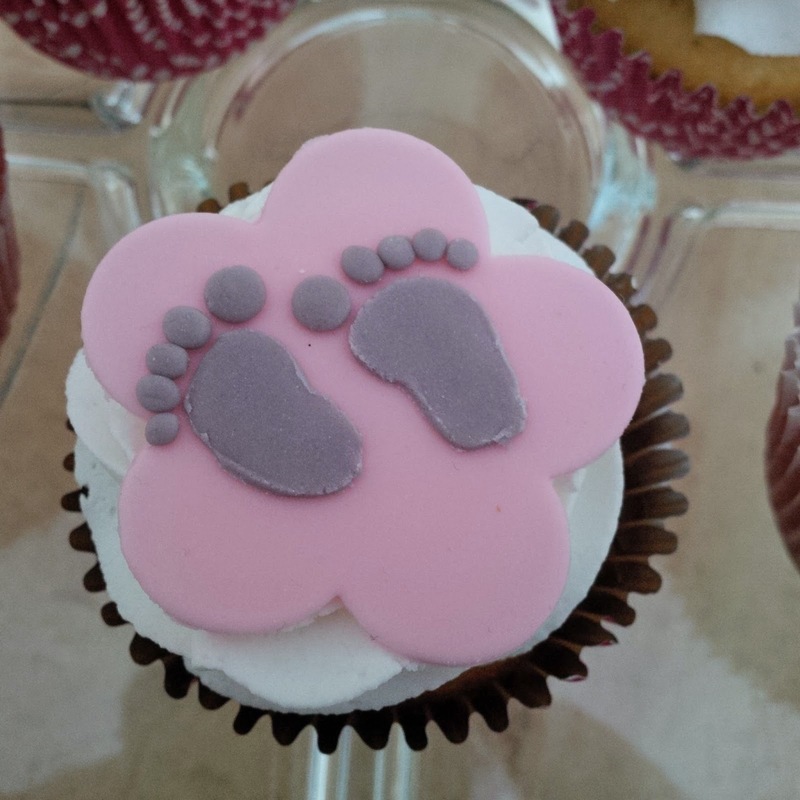 Cakes, Cuppies And Other Confections: It's going to be a girl!! 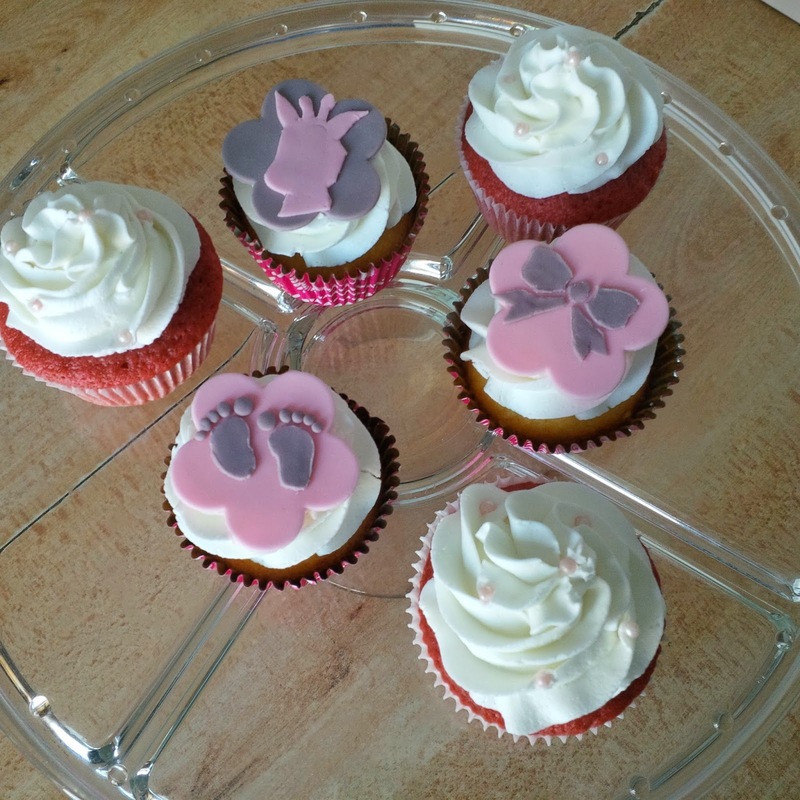 Who doesn't like baby showers? 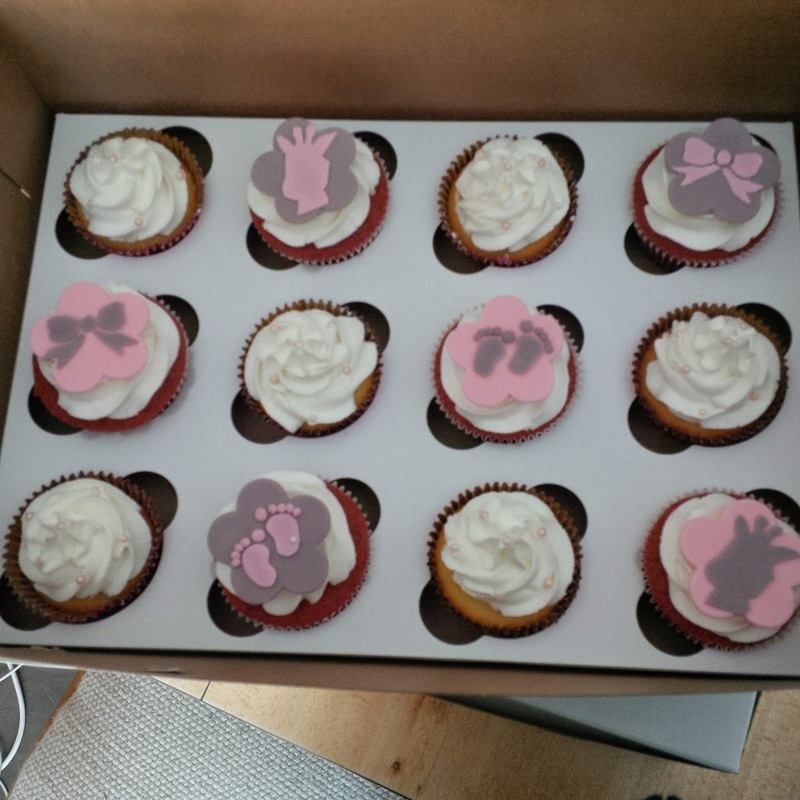 They are often filled with good friends/family, funny games and always good food, including a cake or cupcakes! I was told that the party goers like red velvet and vanilla cupcakes. 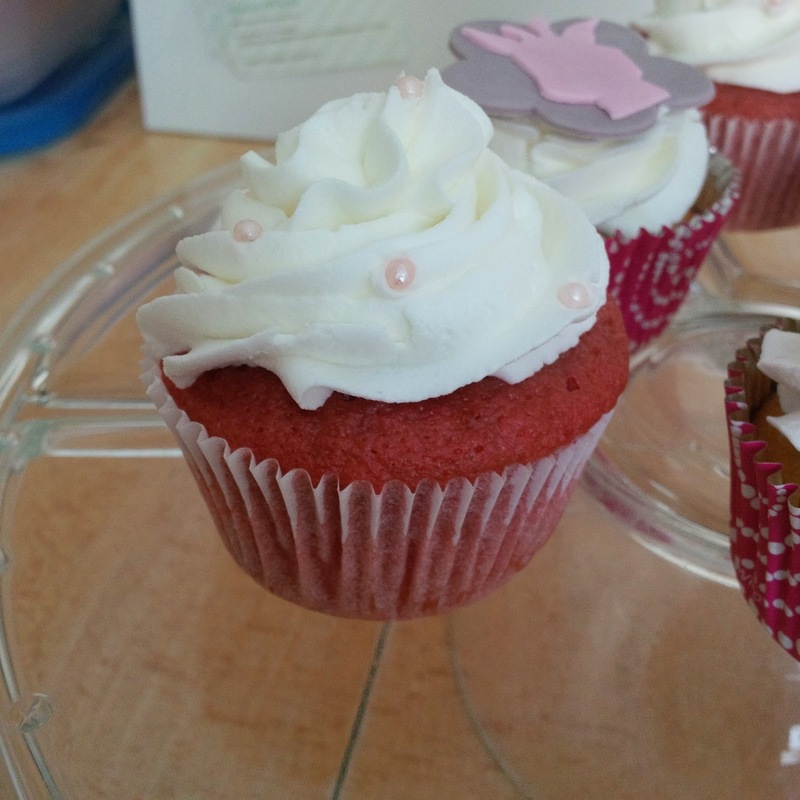 I decided to make a dozen of vanilla cupcakes and a dozen of red velvet, but I was wondering if I could colour them pink instead. So after doing some research I found a recipe for Pink Velvet cupcakes and decided to give those a try. They turned out great! 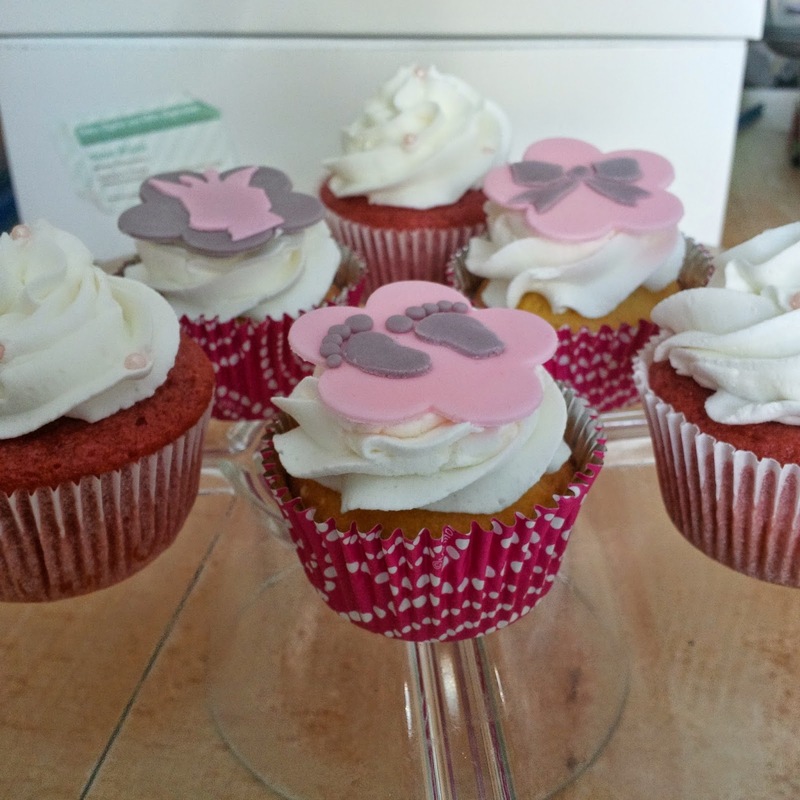 These cupcakes were frosted with a vanilla buttercream and a dozen were topped with baby pink sugar pearls. The other dozen had a fondant topper placed on top representing the overall theme.